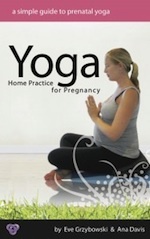 Created by renowned Byron Bay teacher Ana Davis, this complete set of 8 Postnatal Yoga Classes is your perfect companion to getting back in shape after giving birth. The mix-n-match approach allows you to control over your schedule. Practice to these specially designed classes anytime in under 30 minutes. No previous yoga experience required. This is the complete set of 6 flowing vinyasa hatha yoga classes by experienced Sydney yoga teacher Danielle Dolev. Suitable for either intermediate level yogis or advanced beginners, the set of classes focuses on improving your strength, stability, concentration and balance whilst opening your hips. 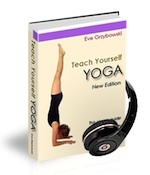 A teacher of teachers, Eve Grzybowski's ebook with extensive audio tutorials on Yoga Adjustments is an essential companion for every yoga teacher and teacher-trainee. 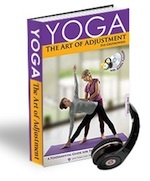 The audio tutorials accompany full-colour photo illustrations of the asana and adjustment. This classic book by Eve Grzybowski released in 2003, now comes to you as a digital book with new accompanying MP3 Audio Tracks by Eve. 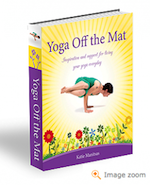 Presenting over 30 yoga poses in detail, this eBook takes into account individual ability levels and health issues. Providing a comprehensive 12-week program, included are chapters on motivation, breathing techniques, getting started, and how to cope with stress in your daily life.